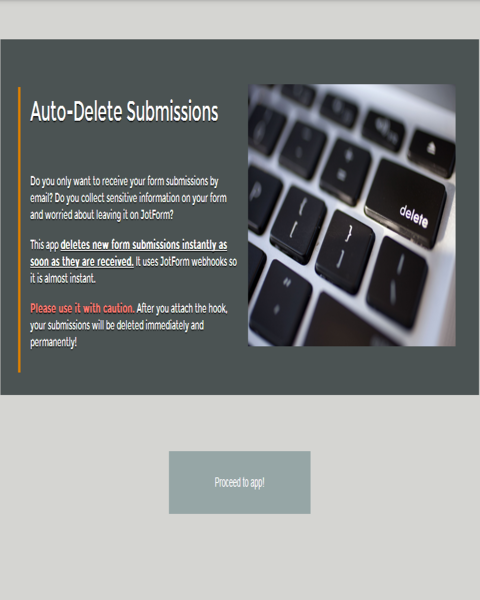 Do you only want to receive your form submissions by email? 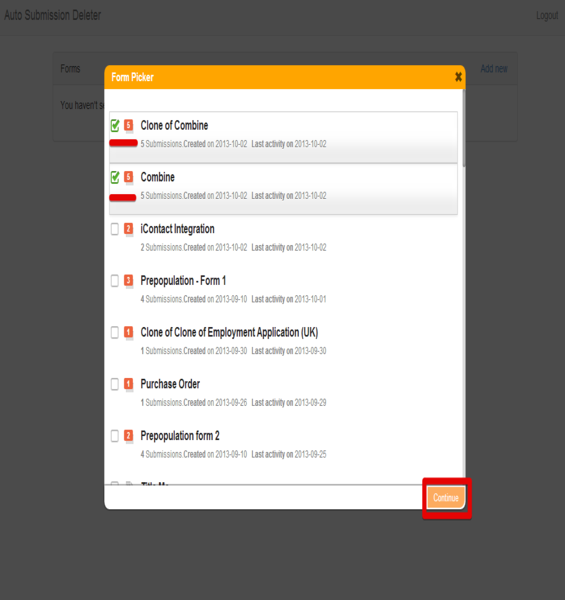 Do you collect sensitive information on your form and worried about leaving it on JotForm? 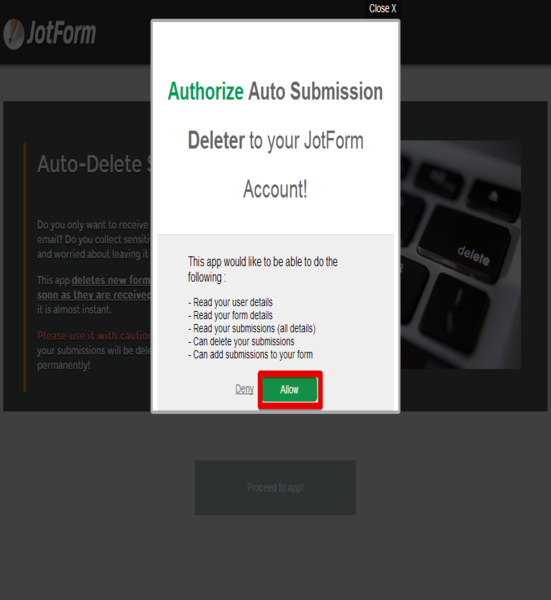 This app deletes new form submissions instantly as soon as they are received. 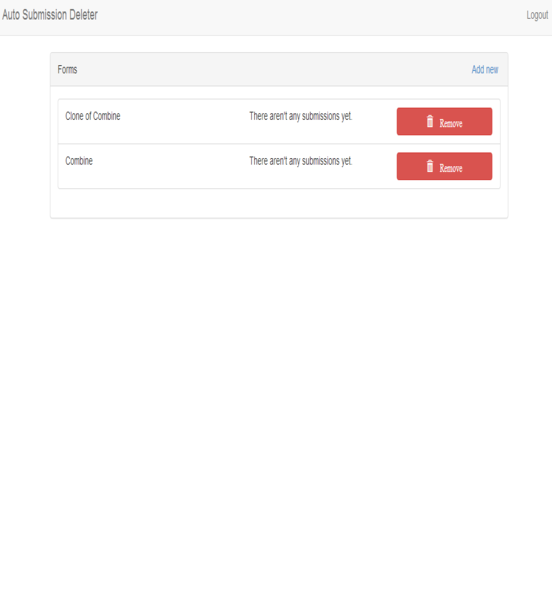 It uses JotForm webhooks so it is almost instant. Can you redesign the app to model as unsubscribe form. 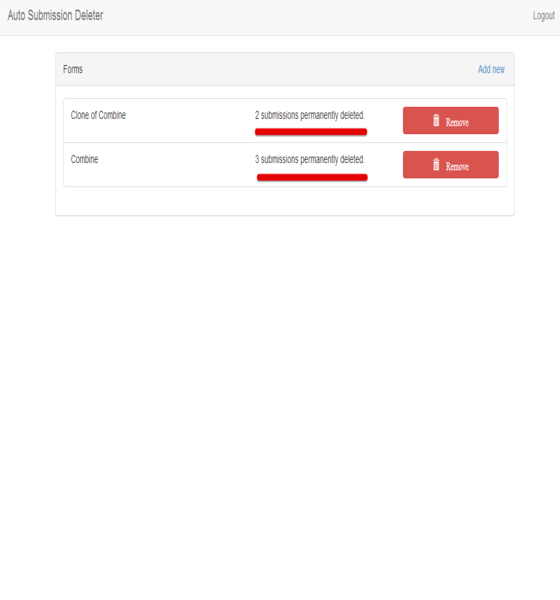 When a unsubscribe form is submitted, an equivalent submission in the subscribe form data (based on mail id) will be deleted (or change of status to unsubscribe), after getting email confirmation. Tough but practically useful! wonderful app. 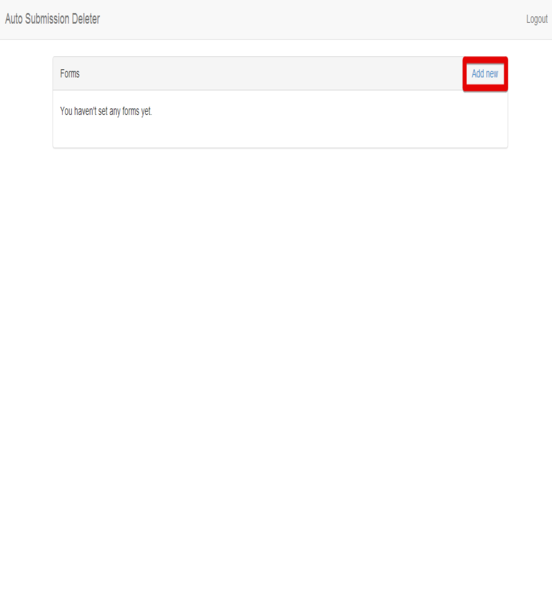 supposed to do what it says: "This app deletes new form submissions instantly as soon as they are received." it never claimed or promised to also reset the monthly submission counter.